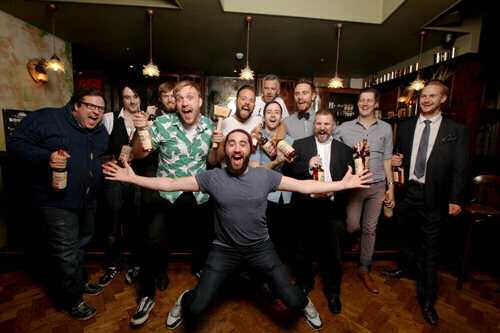 After searching the length and breadth of the country, Gruppo Campari's Wild Turkey® Bourbon has announced the 9 finalists for its third annual UK Cocktail Competition. The bartender who most impresses the judges at the final will not only earn the 2015 Title, but will go on the trip of a lifetime; visiting the home of the world famous Kentucky brand, before making a pit stop in New York City to sample some of the worlds best bars. The search for the crowning cocktail will be judged on the 12th of August in East London by 2014 winner Joshua Reynolds, Bar Life UK, as well as a special, yet to be announced judge that will surely excite the finalists. Pop all of the ingredients in a stirring beaker, add cubed ice, and stir down with bar spoon. Serve straight up in a classic coupette glass, garnish with lemon zest and enjoy the taste of Wild Turkey!